Today we are living in a world full of competition where we should fight to overcome the obstacles and achieve success. It may be running towards grabbing a higher position in a job (or) expanding the business, we need to learn how to set a goal? Afterward, prepare a plan of execution to achieve the Goal. Here let me describe you the process of setting a goal and how to prepare ourselves to meet the achievement? A plan is a list of action you need to carry out today and in the future as well to reach your goals. Planning is like a road map from the beginning to the end. Creating a good plan is the first step in the learning process of how to set a goal? The time you spend in planning and thinking will save your energy and money in the future. Proper planning boosts your proactive thinking and helps you find ways to overcome the obstacles in your journey. Prior planning helps you to make your work more productive by saving your time, energy and money. A Good Plan will keep you aware of the flaws, troubles and helps you create an alternate solution if something goes wrong. Creating a plan makes you identify, your strength and weakness, which helps you a lot in boosting your success. How to Select your Goal? Based on a recent study conducted over 33 leaders, the researchers found that most of the leaders possess a habit of making a strong vision towards their goal. This habit helps them to find new ideas, resources, and available opportunities to fulfill their goals. When you create a strong vision towards your goal, it helps to activate your subconscious mind and bring your vision into reality. Also, the moment you started seeing the opportunities in your vision, you can become a dominant subject towards achieving your goal. 1. It is your goal and you are responsible to dedicate yourself to fulfill your goal. 2. The goal must be clear and specific. When someone read about your goal, it should be easily understandable and convincing. 3. Always create measurable goals so that you can observe the progress of your goal and focus on productive activities. 4. Create practical goals correlated to the current resources and skills and could be easily achievable with little efforts. 5. 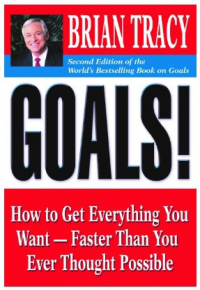 Goals are different types, short-term goals, medium-term goal, long-term goals. 6. Walk towards achieving your goals and do not try to jump from your vision. Since your future entirely depends on how to set a goal and how to perform actions towards achieving a goal, you should be ready to put your effort. You should always be willing to put your hard work and ready to invest your time to fulfill your goal. Power Of Visualization In Goal Setting. Visualization has the power to bring a change towards anything and it does so in setting a goal. It will help you to attract people, resources and events to achieve your goal. You should often keep visualizing your goals frequently to keep yourself motivated towards your success. The longer you hold your visualization, the more success you reach. Your goal should be clear and concise. Develop a habit of writing down your goal. Once you develop a habit of writing down our goals, with time, goals become crystal clear. Then, at some point in future, your goal will appear in your life, as you imagine it. You should believe in yourself which is the most important and mandatory thought towards achieving a goal. We all believe something in our life based on the information that we collect every day in our journey. Our society, religion and the people around us teach us new things every new day which we are creating our belief. If you have a positive belief, you can find new opportunities and ideas to grow. The same positive belief helps you learn new things after every mistake you did while chasing your goal. Prepare your mind to develop positive beliefs and teach your mind to reject negative thoughts that add no value to your life. When you see the new opportunities, first create a strong belief and put to work according to your beliefs to bring the changes. Always desire to create a strong belief on the things you think that is going to work which helps you to transform your goal into success. Your goal in life is to work in harmonious with your beliefs and align according to the things that you think are of importance and add value to your life.Your life will travel according to your belief on the subject but how do you know the value of those subjects? In a simple manner, it is defined as the actions that you do under pressure defines the true value of your belief. Find the subject that is having a true value and prefer to choose them according to your goal to reach the height of success. Your value determines your belief about you and people around you. Positive beliefs make you treat other people positively. The value determines your attitude which is the outer reflection of your values, belief, and expectation. It is a fact that every action you take in your life is purely determined by your inner thoughts and how you believe them? Techniques To Manage Your Time. Working towards achieving a goal is very important as like managing the time to work for the goal. Time is precious and it never comes back once lost. Use the time effectively by doing activities which are important on time and schedule the least important accordingly. Always prepare a plan of action for tomorrow before going to the bed. Making a to-do list helps you to stay organized throughout the day and keep you activated all the time. Time management is a very essential task and you should learn the various techniques of time management. It helps you to work with more attention towards the important task first and make yourself free to concentrate on the least important activities on the later time of the day. Time management helps you stop procrastination which is the biggest obstacle for many people to prevent them from achieving their goals. And if you find yourself procrastinating affirm these lines to get back on track. Do it now! Do it now! Do it now! Do it now! Today every individual has a Financial Goals and that is to earn a decent income to manage their family and to survive. But achieving financial goals is not a quick task and it will take much time and patience to reach your desire. You need to set three types of goals: Short-term, Medium-term, and a Long-term goal. The short-term goal is to cut your least important expenses and find ways to get out of debt. The medium-term goal is what you need to plan for your future such as your children education and investing in funds. The long-term goal is your financial freedom. Twelve-step process to become financially free. 1.) Desire: How much money you want to earn? Imagine, if you have no limitation. What would you like to achieve? What do you want to become? And how do you want to live your life? 2.) Belief: Learn how to set a goal that is realistic and achievable in a short period of time to create self-confidence. If you set an unrealistic goal your subconscious mind does not accept your belief and you do not reach your goal. Example: Setting a goal to double your salary in three months which is really unfair and not possible. Because in practice, every company hikes its employee salary once in a year or on a special case once in six months. 3.) Write your goal: Create a habit of writing your goal and the activities related to achieving your goal. This habit will help you to devote your emotions, intelligence, and physical body to work with confidence towards achievement throughout the day. 4.) Reasoning: Prepare a list of reasons why you want to carry out the goal. The more reasons the more your work will be. Reasons are the fuel in the furnace of goals. The more reason you have, persistence you become. 5.) Overcome Obstacles: Finding obstacles to increase your motivating power and to overcome obstacles. The 80/20 rule says 80% reasons that stopping you is lies within you but 20% are beyond your control. Lack of discipline and skills are the primary reason that stopping you to meet your goal. 6.) Knowledge: Acquiring knowledge and skill to meet your goal. Take out a paper and write down skills you needed to become top-level in your community. Organize your list from most important to least important. Once you decide your crucial skills, start taking action from today to improve it. 7.) Create Community: Reach top-level people in your community and get help from them to meet your goals. 8.) Vision: You can create a chart of your dreams and draw all the things you want in your life like home, car, clothing, jewelry, and furniture. 9.) Keep working: A plan without work is nothing. Put your plan into action to reach your goal. When dark cloud starts hovering you; make your priority to focus on solutions rather than problems. Your Goals affirming sentence should in positive as well as in present tense. I weight X number of pound. I will lose certain number of pound. I earn $50,000 in 2019. I will earn $50,000 in 2019. My goal is to earn $50,000 per year. So, I have written a few sample goals to make you understand how to set a goal with a positive meaning. Once you have decided your goal, define your deadline which pushes to achieve your goals faster. Do not worry that how are you going to carry out your goals, just define your deadline and start working towards it by preparing a plan. Writing down your goals and preparing a plan of action will surely help you to carry out activities to achieve your goals. At the time, the doors will open up for you to success. Every work should be monitored and recorded to measure progress. Learn how to set a goal and moreover program your brain to put concentration on every task towards the achievement. We have an incredible mental power but only a few people were using it by setting a goal and defining a deadline. Your conscious mind is like an office which needs every information in a strategical way to execute one by one. Also, it is very necessary to remove unnecessary and unimportant information from the brain to increase your concentration. Once you finished setting a goal and a deadline, always think and work towards achievement and never forget to measure your progress. It helps you to avoid unnecessary delays and changes in your plan. Measuring progress helps you to work on a narrow towards success. If you don’t measure, you will procrastinate and delay important tasks, which will lead to set another deadline. When you are changing your deadline, you are delayed your goal achievement. But with the time, you will become an expert in predicting deadline. Checking Road Blocks In Advance? Create a positive affirmation to gain more power to defeat your obstacles that pass your way by preparing a plan prior to work. When you find yourself to be surrounded by the problems, find the ways to get out of it rather thinking about why it had happened? Create a list of productive actions that you require to supercharge your brain and increase productivity that overcomes all roadblocks. Program your mind to observe only the positive vibrations and find possible solutions and opportunities to get out of the problems. Problem-solving is a skill and you will become an expert by learning through practicing. The more you focus on the solution, the more you will pop out from the troubles. And each time when you solve a problem, you make yourself better than before. Make Connection With Right People. A crucial part of goal setting is to find the people and organizations that can help you to reach your goal. As you see the most successful people in the world were based around creating a successful network of people or channels that contribute to their growth. You develop a practice of reaching out to top-level people in your community and put your portfolio to find chances to establish a communication medium. You should aware about every opportunity that lies in your way and tries to utilize them effectively. Never hesitate to help others in need and at the same time, never hesitate to reach out new people to engage yourself.